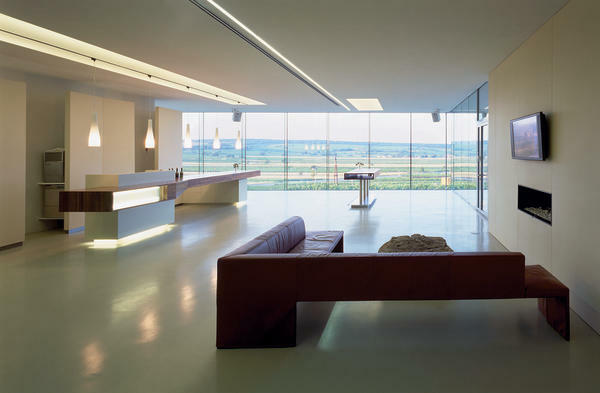 As a whole, the Hillinger winery forms a symbiosis of landscape, viticulture, and architecture. For the architects, a particular appeal in dealing with the landscape arose from the winery’s special location, sensitive and also difficult, in the midst of the wine gardens of Jois, dug deep into the earth, covered with soil and vegetation. Based on the earth cellars of cellar lanes from days gone by, the project makes special use of the underground climate. 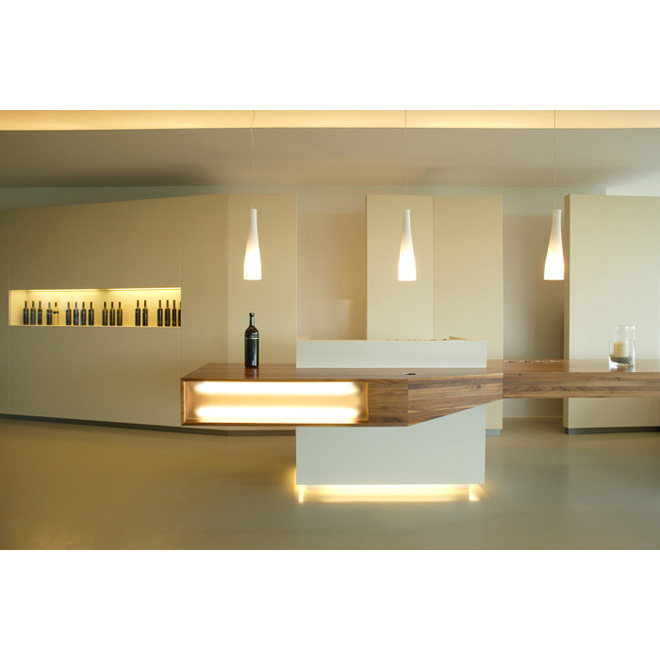 The cantilevered section with presentation area is intended as a widely visible subtle sign, which makes its appearance at night by means of a large illuminated window. 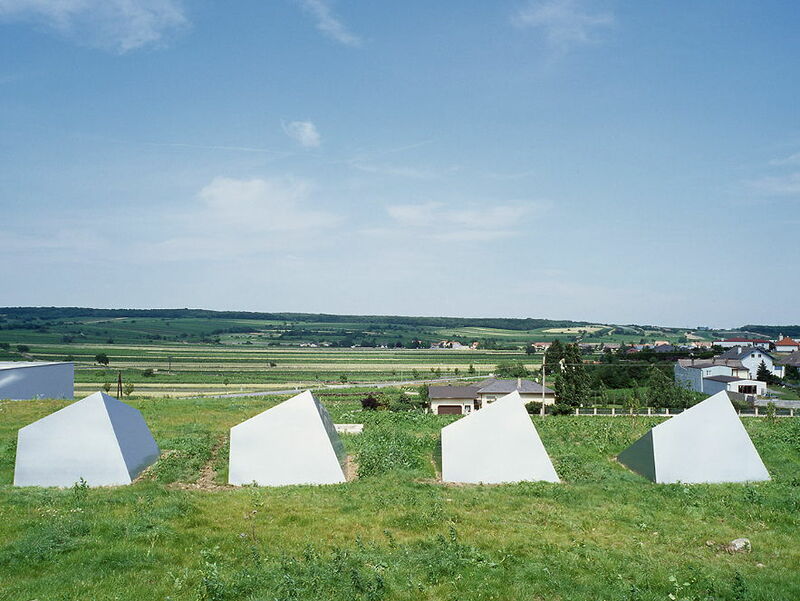 Natural light is brought into the work place only by the eight north-facing diagonal pyramids over the large production hall. Climate and temperature are crucial for the success of the wines. 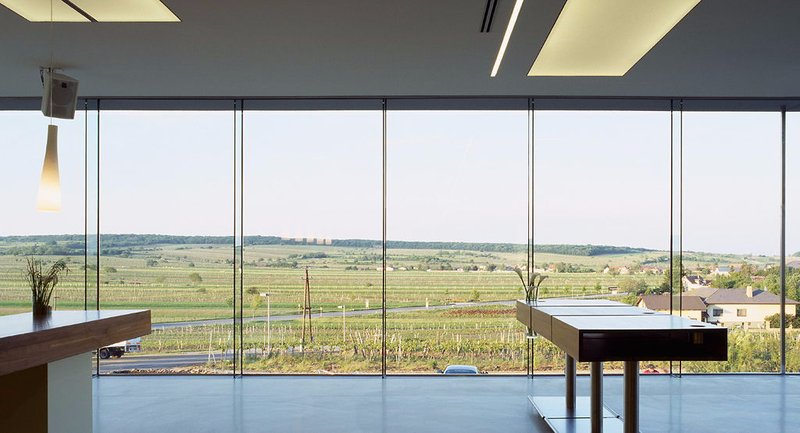 The resulting building was modest, making the most of the requirement to dig down and build an underground wine cellar, ensuring that the vast bulk of the building is set beneath the landscape. 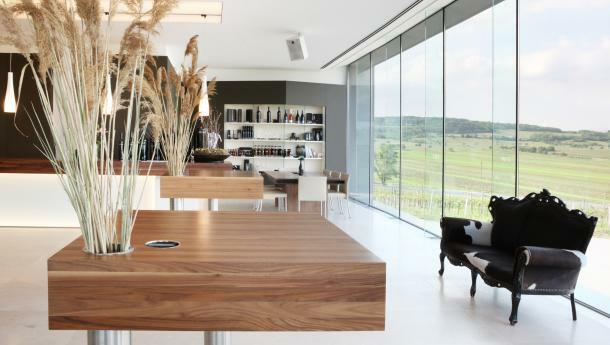 The contours subtly fold and bend to reveal a rectangular tasting room, cantilevered out above the vines and offering up a stunning panorama. Since 2010 Leo Hillinger integrated bio dynamic viniculture.